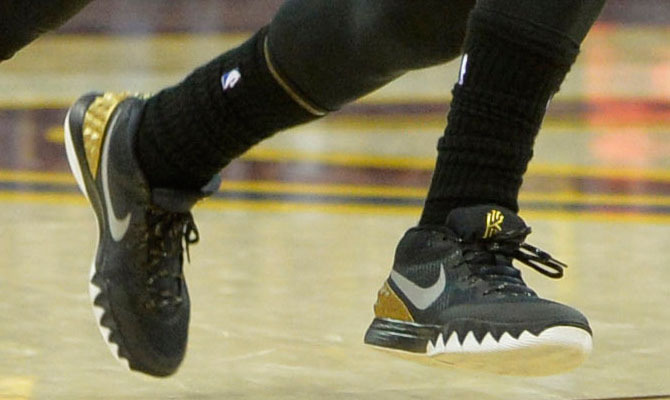 Another Cav in special Grammy Nike exclusives. 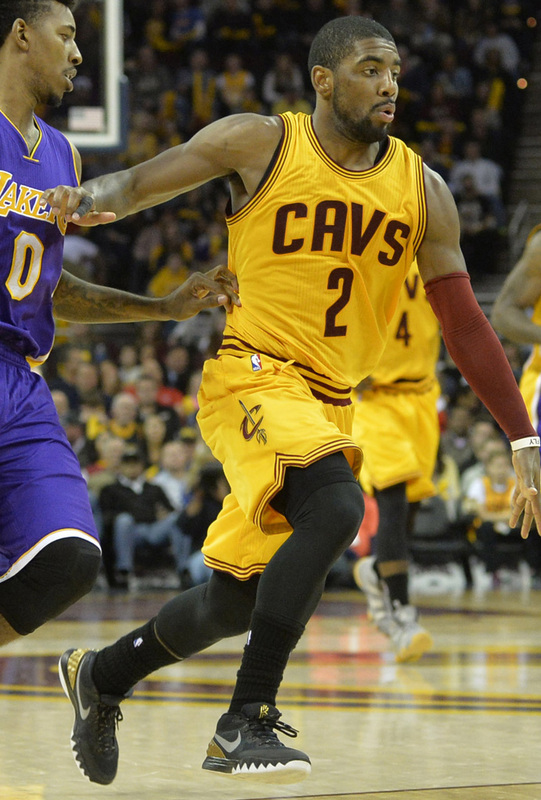 Like teammate LeBron James, Kyrie Irving played yesterday's game against the Los Angeles Lakers in a Grammy-inspired colorway of his signature shoe. The special make-up of the Nike Kyrie 1 featured a tuxedo black and white base, accented by metallic gold on the tongue logo and heel. 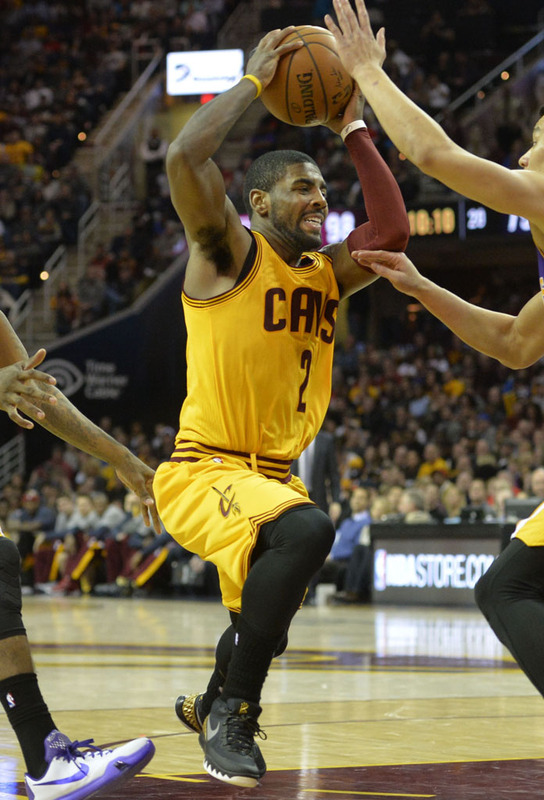 Players around the league were given the day to wear gold sneakers in celebration of the Grammy Awards. 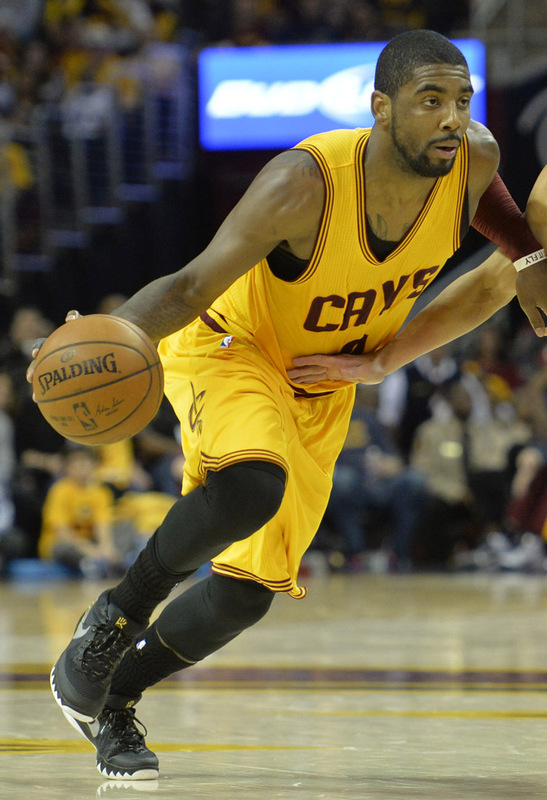 Helping the Cavs get back to their winning ways, Irving had 28 points, 10 assists and 4 rebounds in a 120-105 victory.